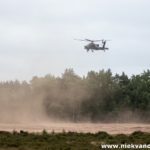 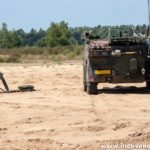 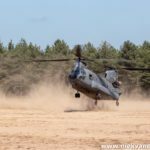 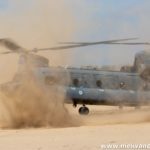 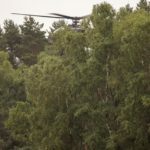 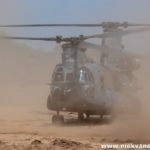 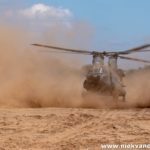 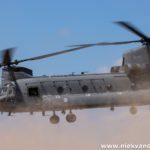 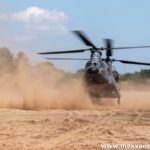 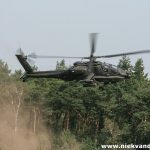 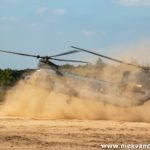 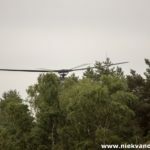 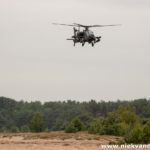 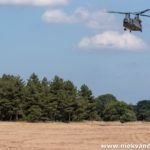 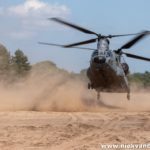 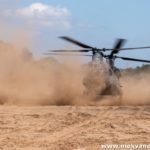 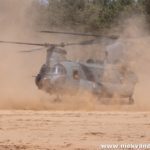 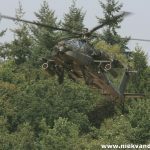 After I visited the GLV-V low flying area in 2017 (see http://niekvanderzande.nl/wordpress/helicopter-action-in-glv-v/), I decided it was time to eat some dirt again. 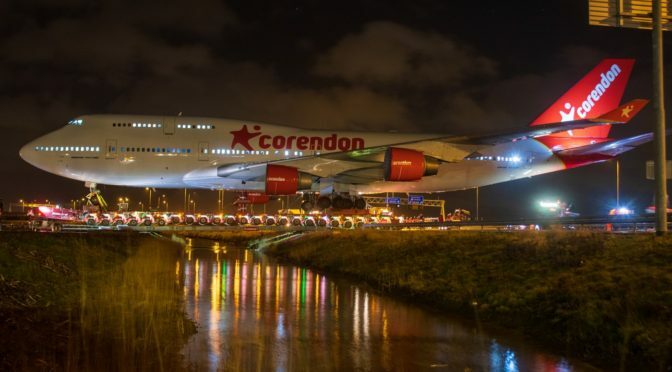 Therefore Ramon Wenink and I headed south last week to try our luck in this unique environment. 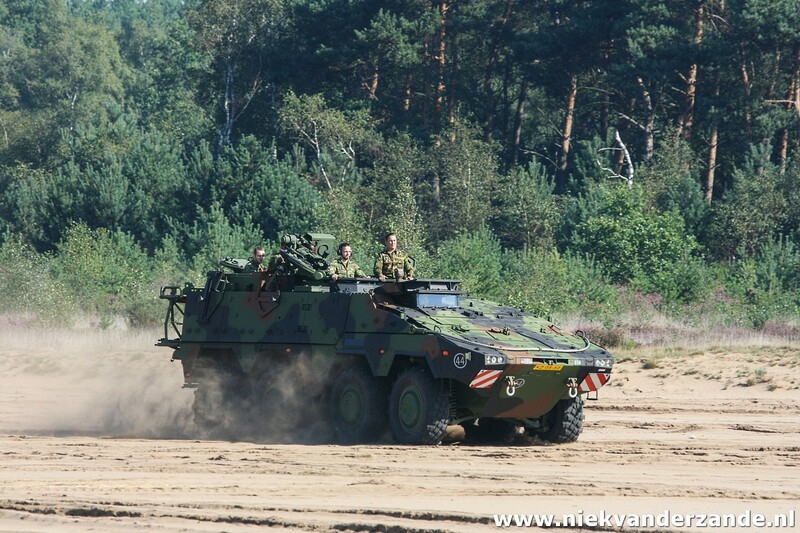 The day we visited GLV-V was the day with the best weather forecast of the week, 27 degrees and sun. 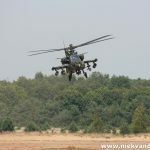 However, the day started cloudy, grey and rather windy, which made the stay not really that comfortable. 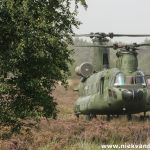 We were therefore really waiting for either helicopter action, sunshine, or both. 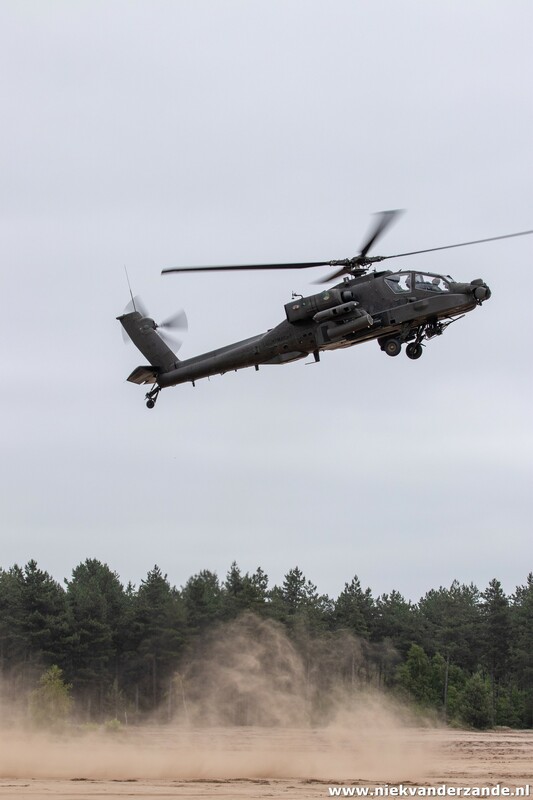 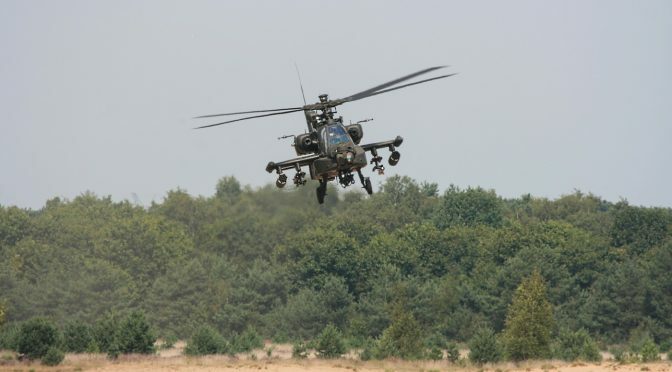 The action started with a 301 Sqn Apache, exercising throughout the area. 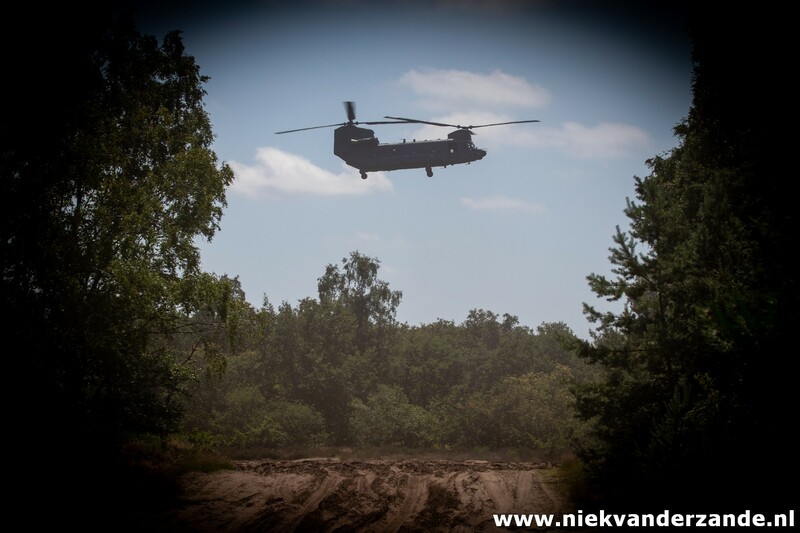 Unfortunately the sun was not out yet, otherwise the pictures would have been even nicer. 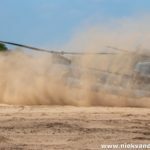 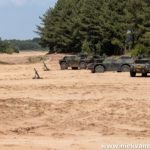 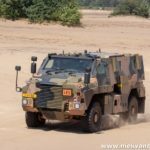 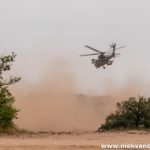 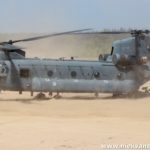 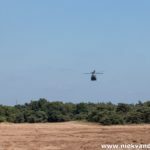 During the day, the army was also practising in the area with Bushmasters, Boxers and Fennecs, giving a nice variety of gear that could be seen in combination with helicopters. 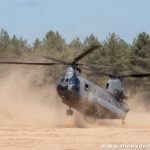 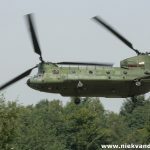 In the afternoon, the sun came out and we were twice treated to a visiting Chinook (both time the same one). 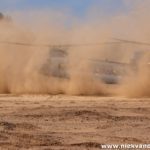 During the second visit, we had the opportunity to get close to the brown-out landing, which resulted in some very interesting pictures. 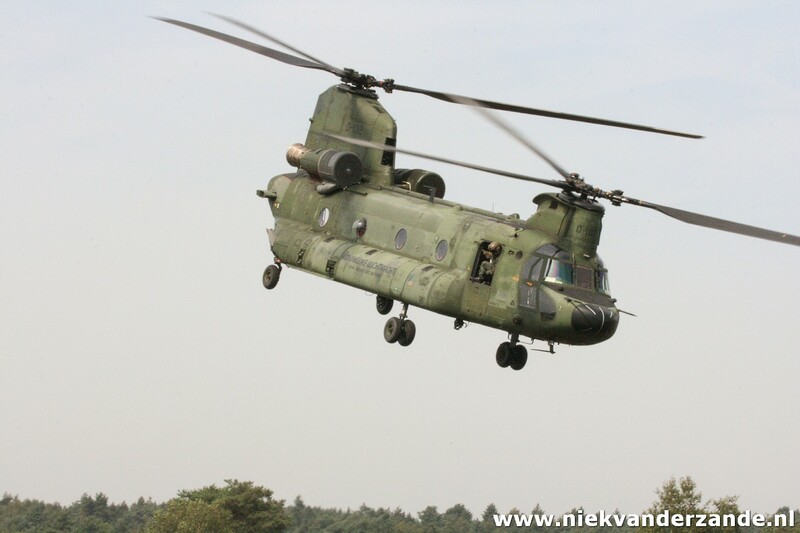 Throughout the Netherlands, there are several dedicated Low Flying Areas (Gebied Laag Vliegen – GLV). 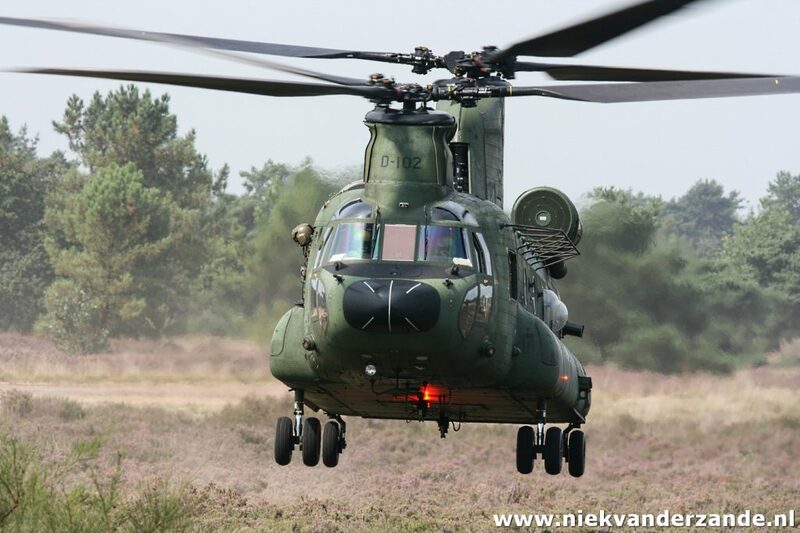 This report focuses on Low Flying Area 5, also referred to as GLV-V.
Just north of Eindhoven Airbase, the Oirschotse Heide can be found. 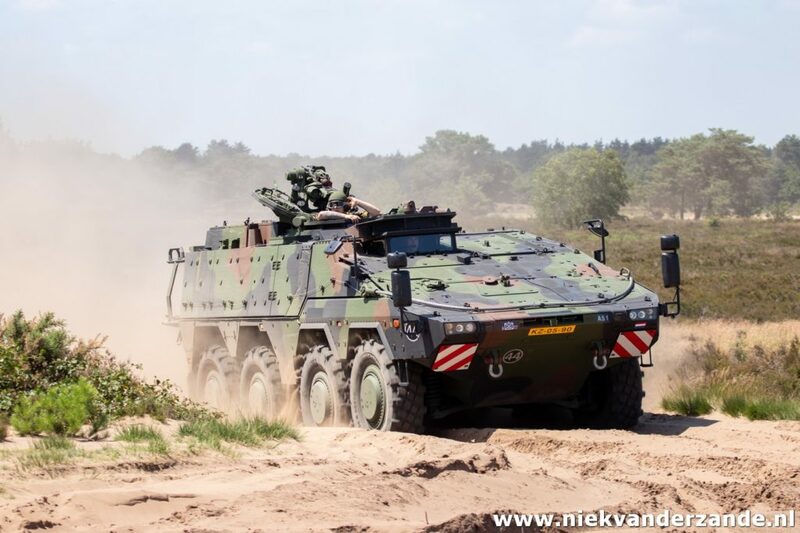 The Oirschotse Heide is a large training area used by the Dutch Ministry of Defence next to the Generaal-Majoor De Ruyter van Steveninck Kazerne. 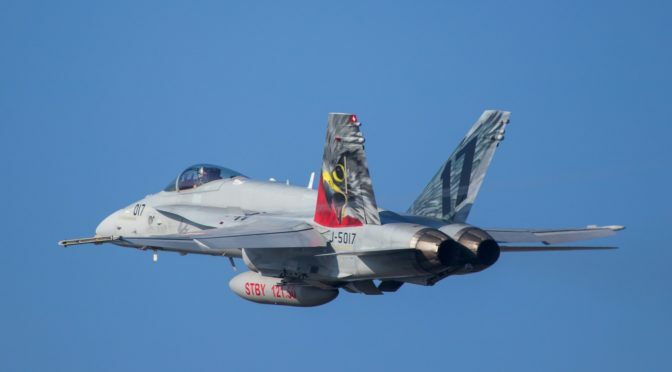 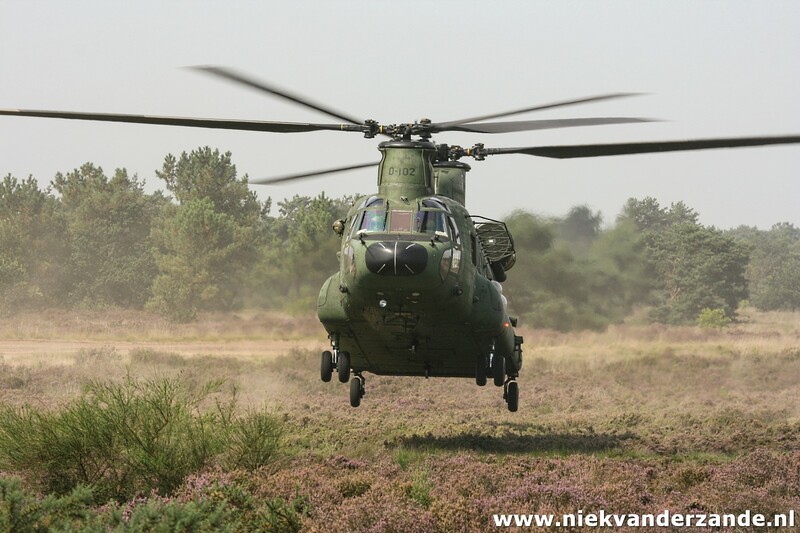 The area is used by both the Royal Netherlands Army, as well as by the Royal Netherlands Airforce (RNLAF). 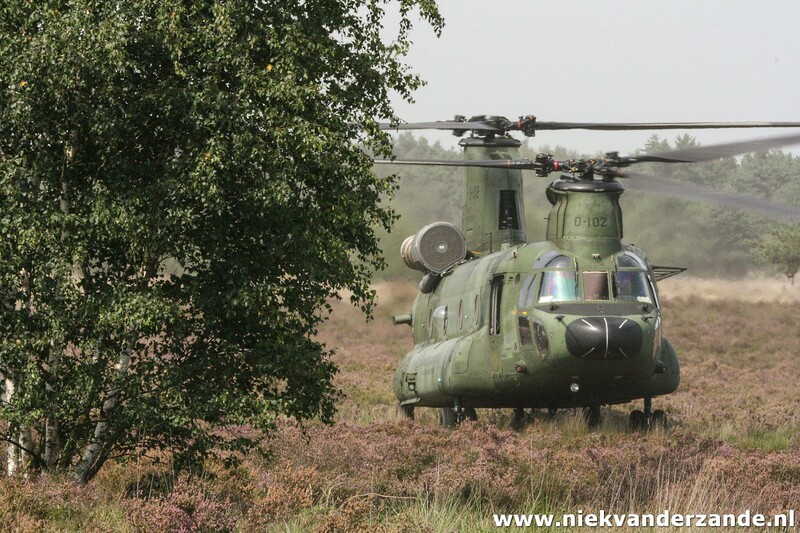 The area consists of woodlands, heath and sandplains, which offer a good training ground for both land- and airforces. 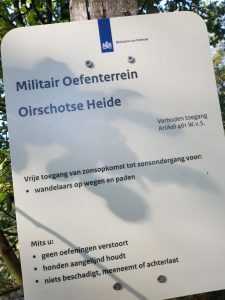 A unique feature of this area is also that it is freely accessible for the public. 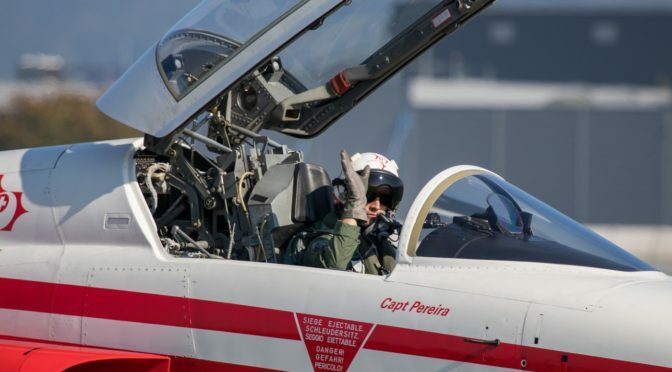 There are no fences and you can freely walk around, as long as you stick to the rules mentioned at the entrances. 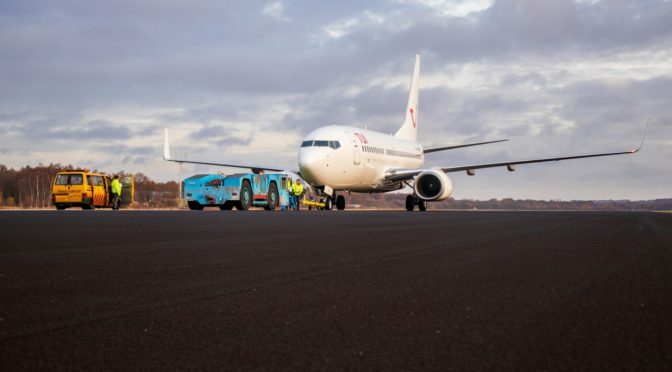 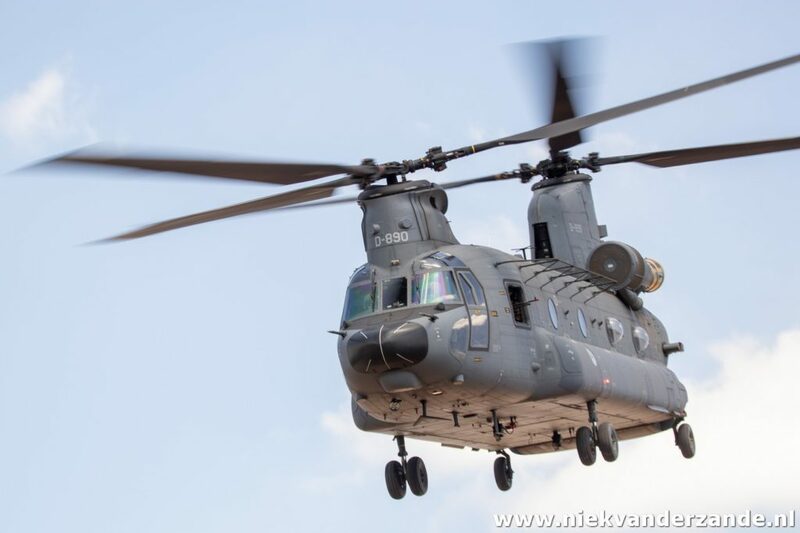 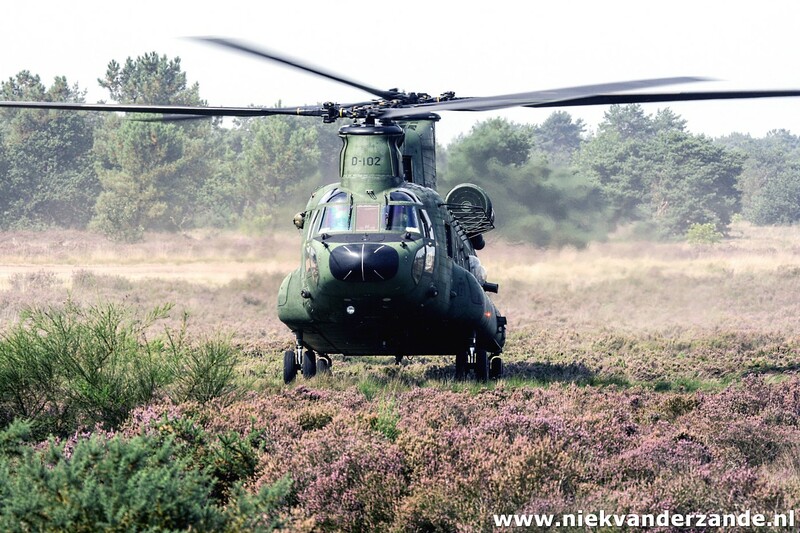 The RNLAF uses GLV-V to train helicopter crews. 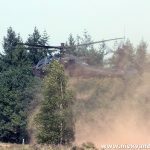 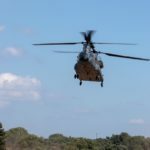 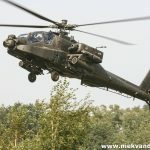 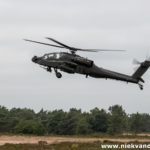 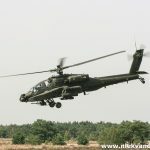 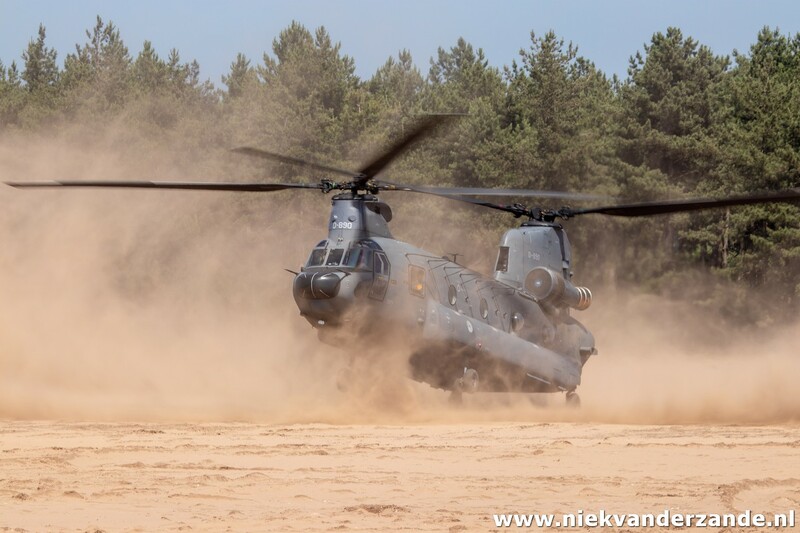 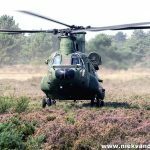 Apaches, Chinooks and Cougars of nearby Gilze-Rijen Airbase are very regular visitors to the area, where they either practice alone, with multiple helicopters, or together with ground forces. 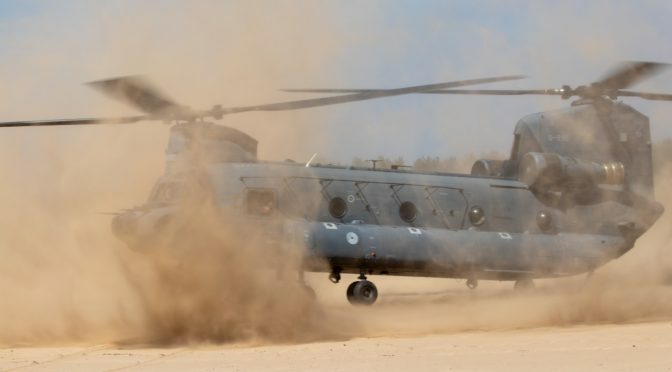 The terrain offers various options to practice landings in confined spaces, brown-out landings, or terrain masking techniques. 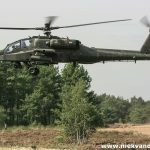 During my visit, the area was visited by a Chinook and an Apache. 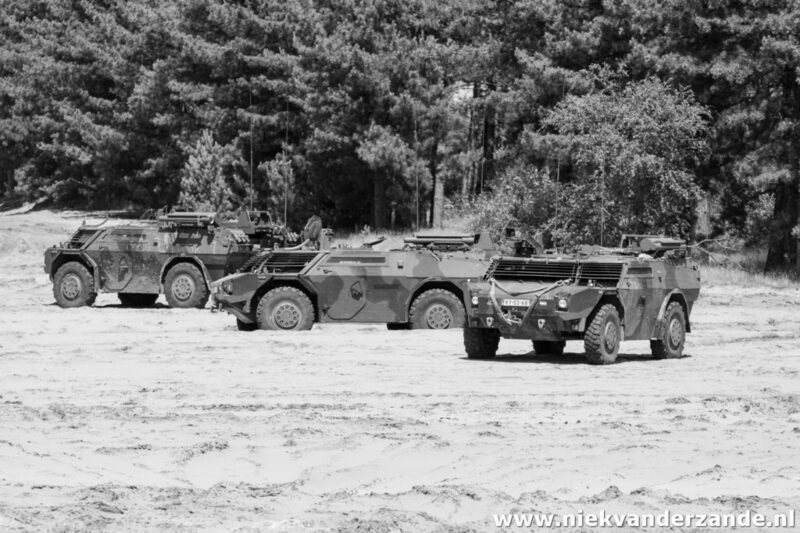 Both of them used the whole area of the GLV-V to practice their skills and frequently came close enough for good pictures. 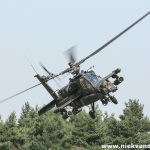 Sometimes they were even so close that a 100mm lense was too much. 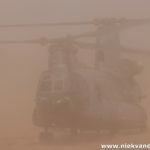 However, changing lenses with al the sand blowing around was not a very good idea. 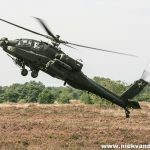 Instead, I just enjoyed the sights and sounds at that point. 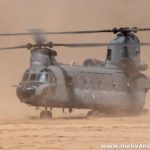 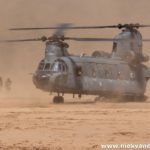 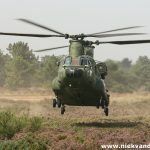 The Chinook was the first helicopter to arrive in the morning. 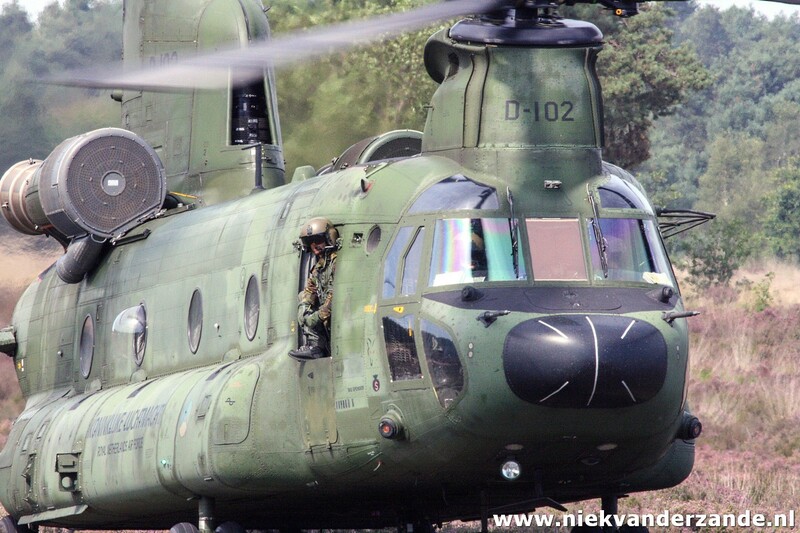 After some exercises further away, the crew moved to the area where I was located. 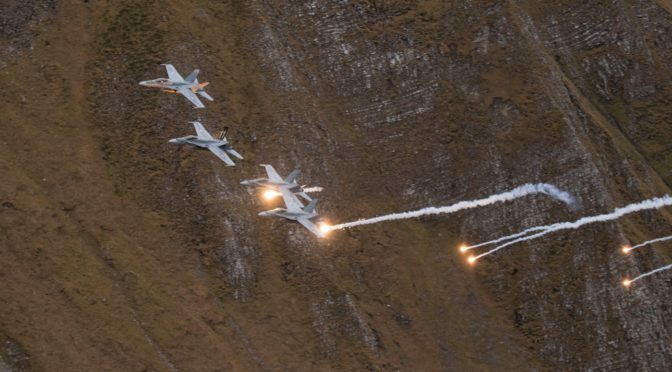 This meant they came very close, which resulted in very nice photo opportunities. 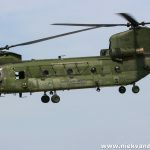 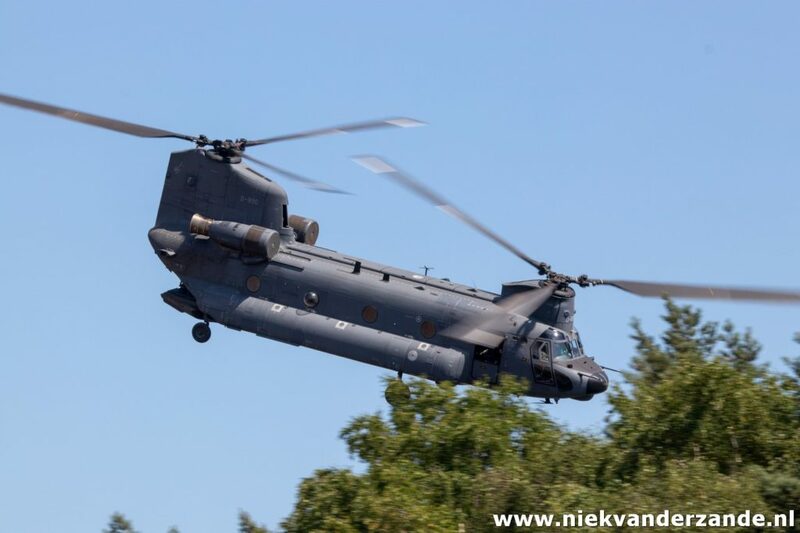 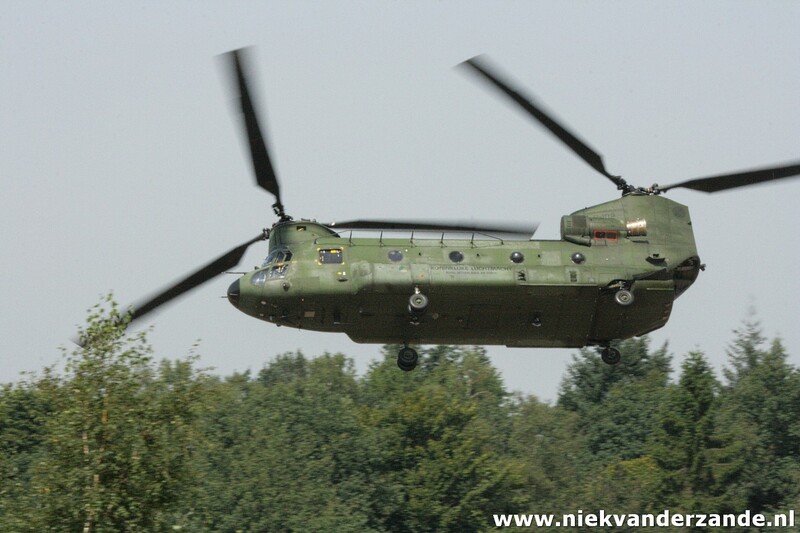 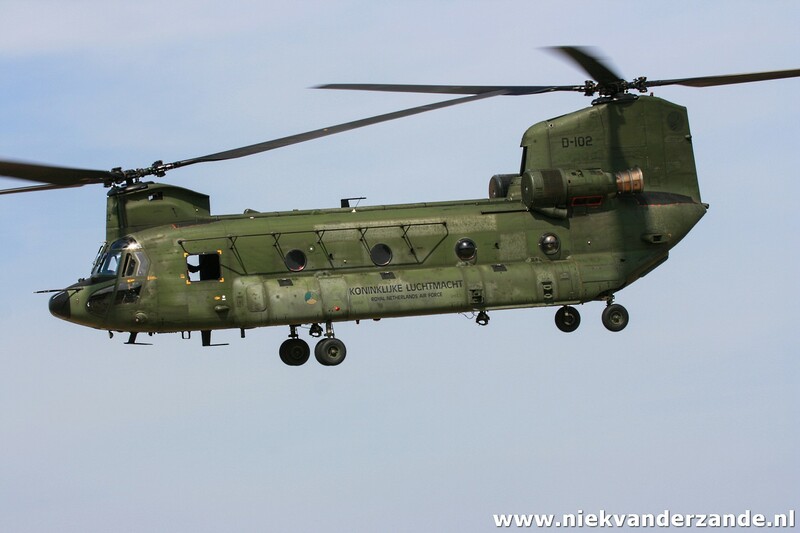 After about 40 minutes the Chinook left for Gilze-rijen, returning later in the afternoon. 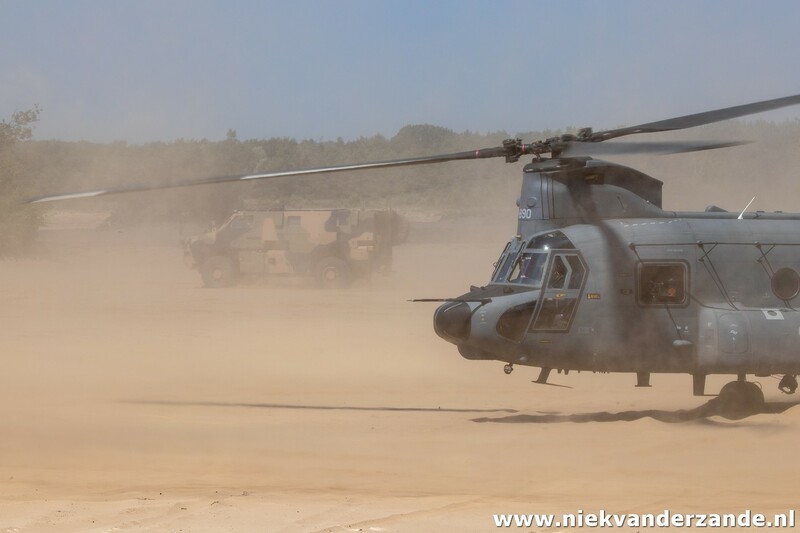 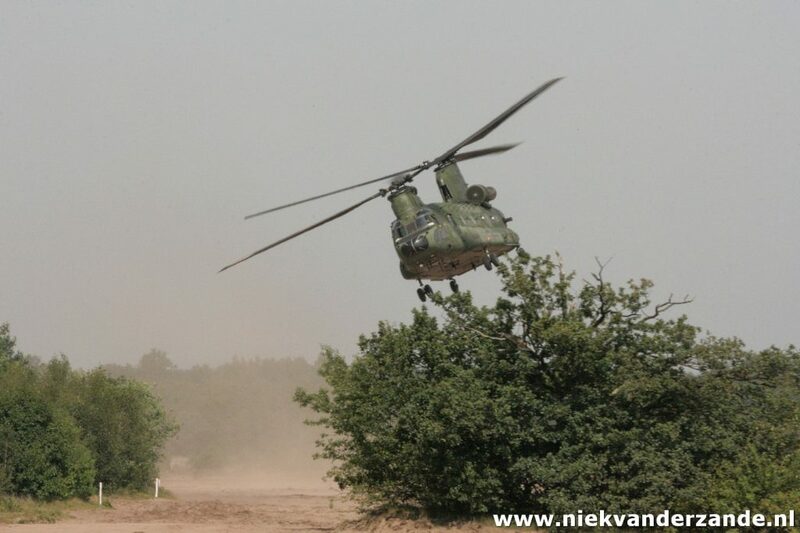 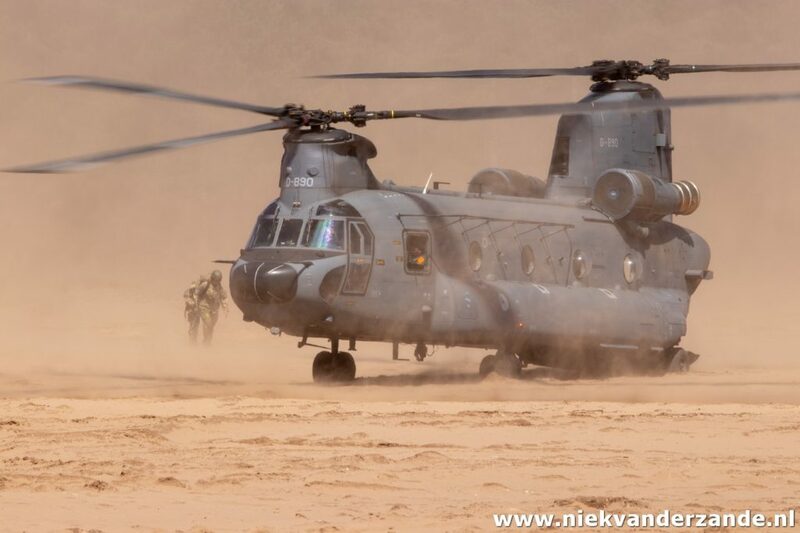 The sandy environment of the Oirschotse Heide gives pilots a realistic training opportunity for missions in Mali etc. 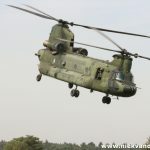 After the Chinook had left, BAT74 came onto the radio. 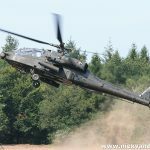 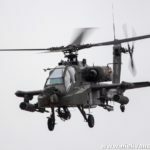 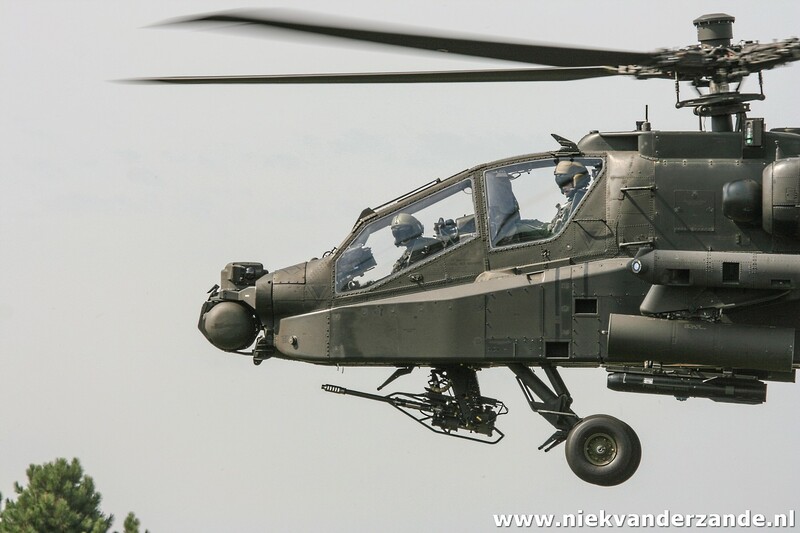 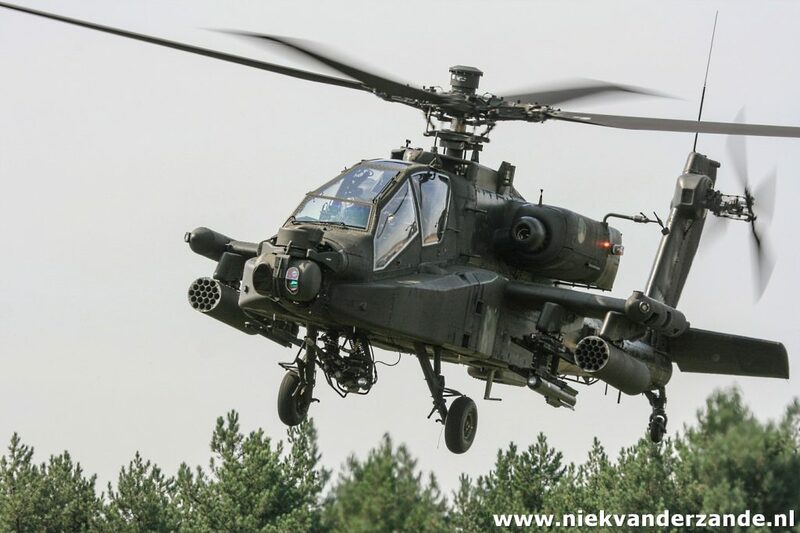 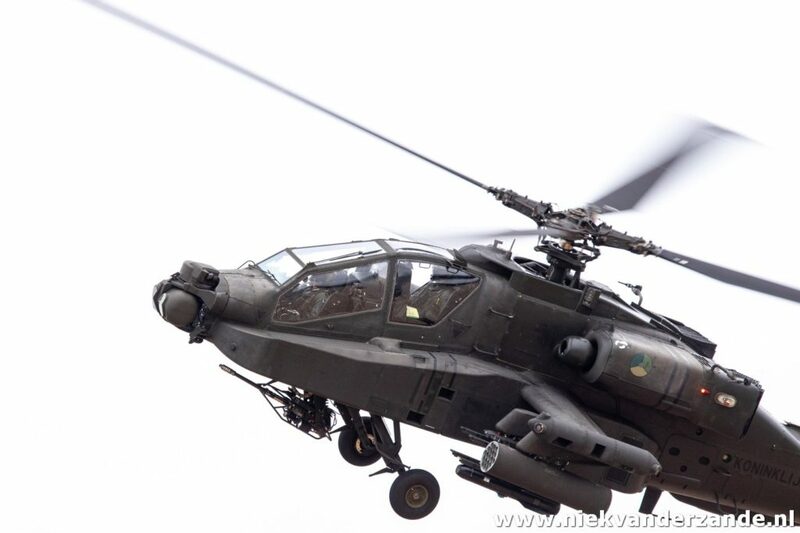 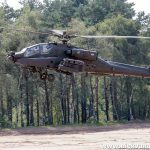 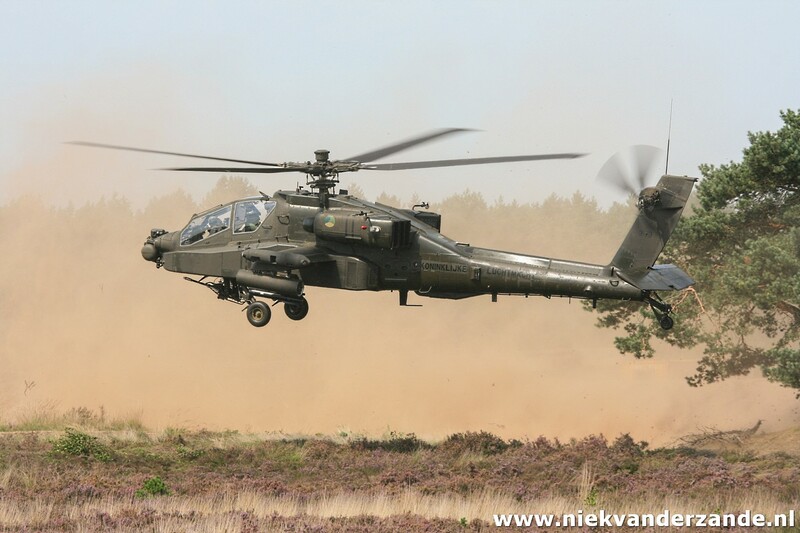 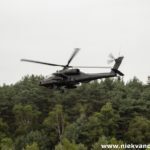 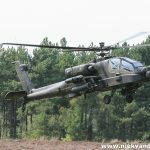 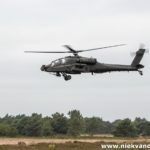 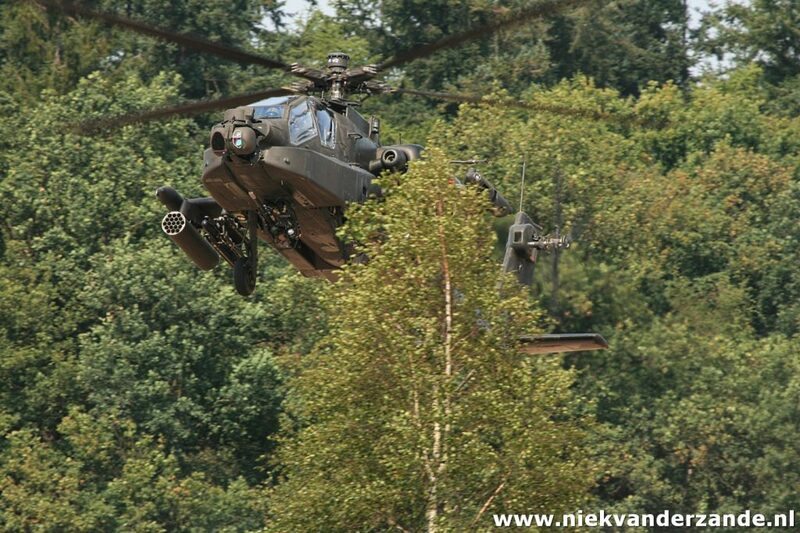 This was an AH-64D Apache from Gilze-Rijen based 301 Squadron. 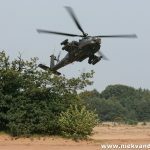 The crew of this Apache showed their terrain-following capabilities to the fullest, sometimes flying at an altitude of just 2 meters.